You may have noticed that the blog recently underwent a makeover. I was bored one night after everyone was tucked in bed and I started out simply updating the photos on the old banner, then I decided it looked too busy and suddenly I was scrapping the entire look of the page and starting over. But then I decided that the neat, calm children just weren't a realistic reflection of my life. Maggie was given an iPad for her birthday. She gets to play for it a half hour before school, when we're between dropping off Patch and Sadie and walking out to meet her teacher. Watching her play on it is so much fun. She loves the Toca Boca apps. And watching her play is sometimes an amazing glimpse into her mind. My mom and Sadie and I had all played with the app a bit and had a really hard time figuring out how to do anything. Maggie is an expert. I watched her select a person in the hospital version of the game, grab a robe, slap it on the character, put them in the shower, take them out, and bandage their head. Other days she brings everyone out to the beach. And on my favorite days she styles everyones hair and dyes it pink. 7 years ago she took her first ballet class and while we weren't quite ready for the cut throat world of 3 year old ballet classes in Florida and didn't end up going the whole year, she has been in ballet every year since. One of the things that I really appreciate about Maggie's school are the communication papers that go back and forth telling me about her day. Every day I send a form in about the previous night and that morning and every afternoon I get a form back from the teacher with notes about her day. But my favorite part are the pages that she fills out herself. 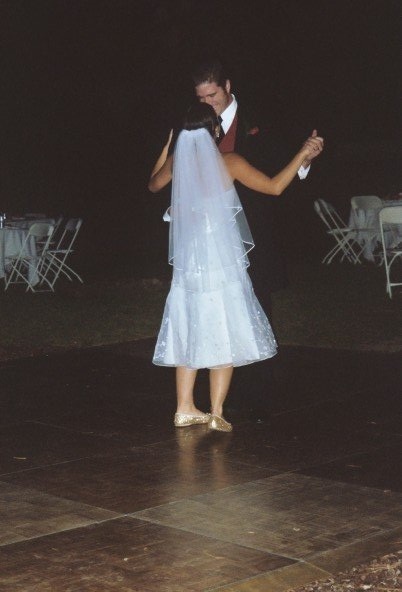 Twelve years ago today Paul and I went on our first date. 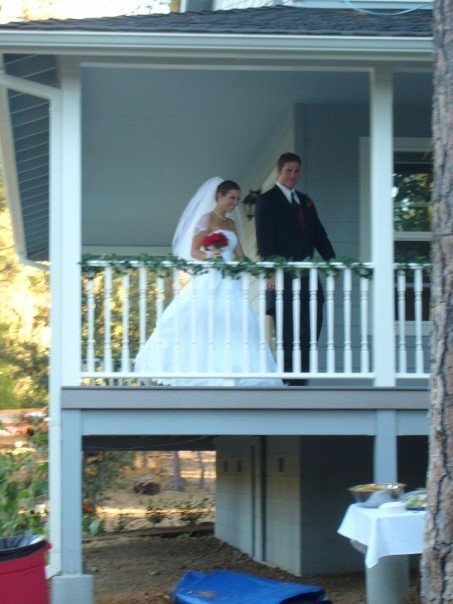 Eleven years ago today we were married! For more Quick Takes head on over to This Ain't the Lyceum! Happy anniversary! You're doing wonderfully, always inspiring to read your posts.